I would encourage everyone to download the preview version of Exchange Server 2013 and try out the service preview of Office 365 Enterprise. As with pre-release versions, please use them preview but not for production use. 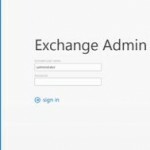 Exchange 2013 Preview Download Link: hit me Exchange Team Blog article: hit me Stay tuned!